Chemical resistant nitrile gloves. Get protection from heavy-duty chemicals, grease, and fats. See the chart below for sizing. 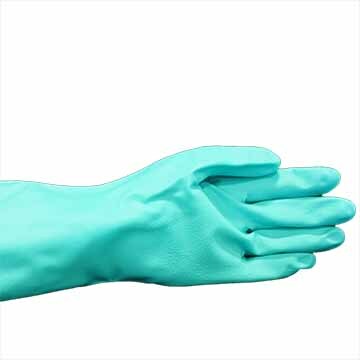 Chemical resistant nitrile gloves protect your hands from chemicals, grease, and fats.